You've heard of hungry, you've heard of angry and you've probably at this point heard of their hybrid, hangry, which describes the sense of rage you feel when you haven't eaten in a while and you won't rest until you eat. Hanger tends to kick in late at night, especially after a night of drinking — and no matter what your go-to snack or meal of choice is, sometimes when it's 10 p.m. and you haven't eaten in quite some time, nothing else will do but some greasy, piping-hot fast-food. 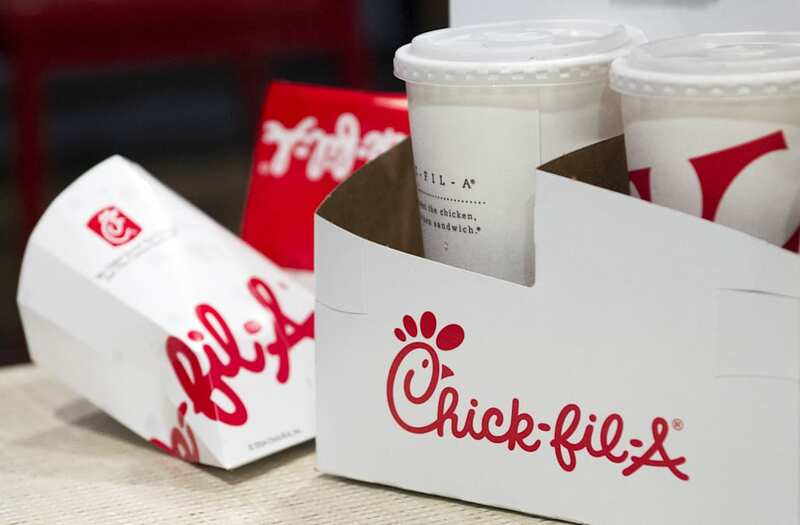 Two teenagers were recently so dead-set on a fresh fried chicken that they completely trashed a Chick-fil-A restaurant after receiving an order of chicken nuggets allegedly served cold. According to Facebook, Allison Music walked into the restaurant during the evening on Monday, July 31 when she encountered the shocking incident. Music explained that one patron began by "making a complete fool of himself" complaining about his food before he exited before his two sisters returned to the restaurant and argued on his behalf. The girls allegedly "beat on the door trying to bust the glass" and began to "pull and jiggle the door handle till the door handle literally breaks off the door" before failing and breaking in through another door. Music noted that "there were kids at Chick-fil-A while this was going on ... There were kids crying they were so scared." and that she gives "kudos to Chick-fil-A for handling this situation in a very reasonable manner." As for each of the two females in the video? All Music has to say is "you are rude, you are a narcissist, and you shouldn't be proud of what you did."